We love when our employees get involved in their communities! 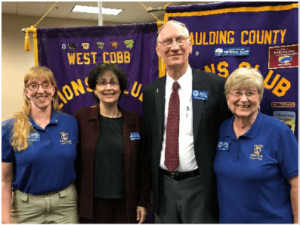 NOVA Kennesaw’s Sandie Castle was recently elected as Treasurer for the Paulding West Cobb Lions Club and was awarded Rookie of the Year! 100% of the funds donated to the Lions Club go directly back into the community. Thanks for all that you do Sandie! We’re so glad to have you as part of our team.